If you haven’t ever visited OFS, you should. Your eyes will be filled with fabric eye candy for hours. 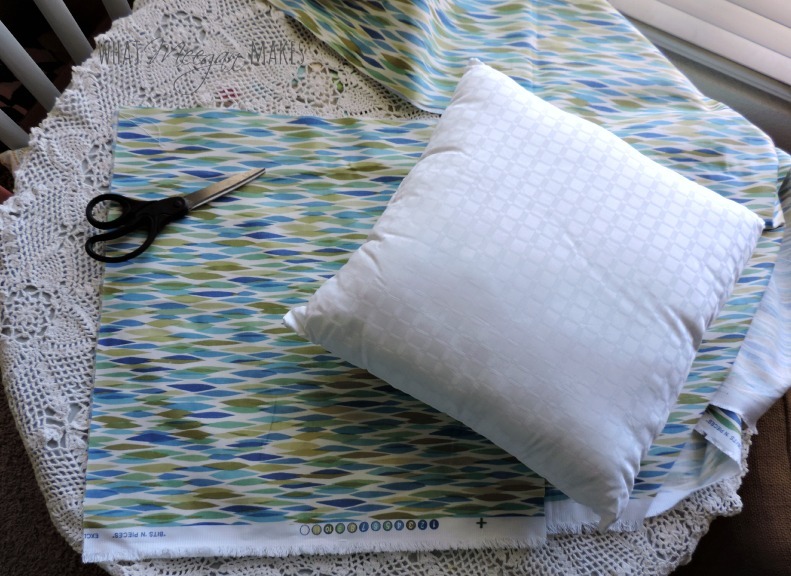 Now let me show you how I made my pillow with Waverly Bits and Pieces SeaGlass Fabric and 1 pillow form. Starting out with a 16×16 pillow form, I measured my fabric at 18×18. This measurement allows for seams and “puffiness” from the pillow. 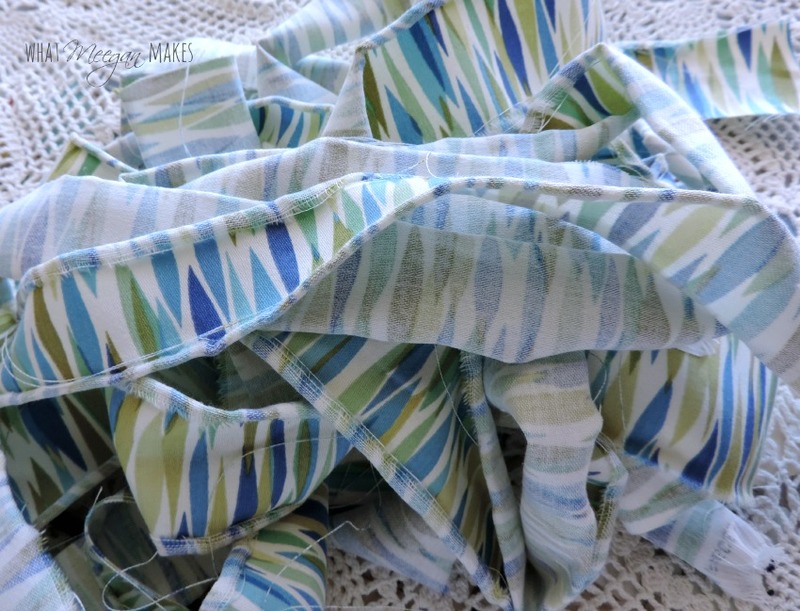 Before I sewed each side together, I tore strips of fabric to make ruffles. Each strip was 2 1/2 inches wide. I like the torn edges, so there was no need to sew the edges. BUT, you can if you want. Using a wide stitch, I gathered my ruffles right down the center of each torn strip. After they were gathered, I carefully pinned them to my pillow fabric, making sure they were straight. 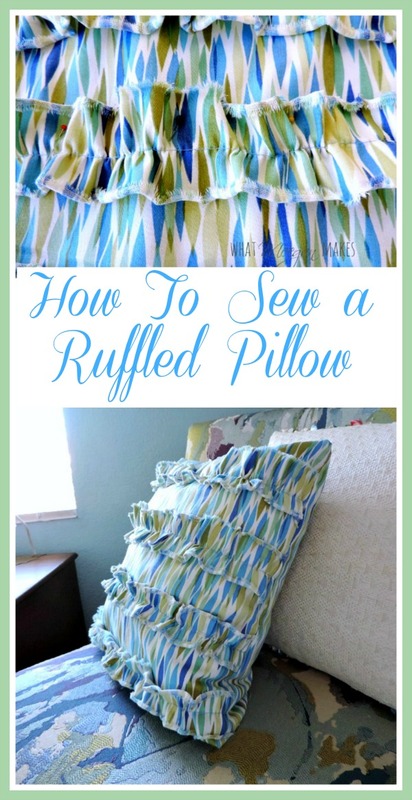 Four ruffled strips would sit perfectly on my pillow. 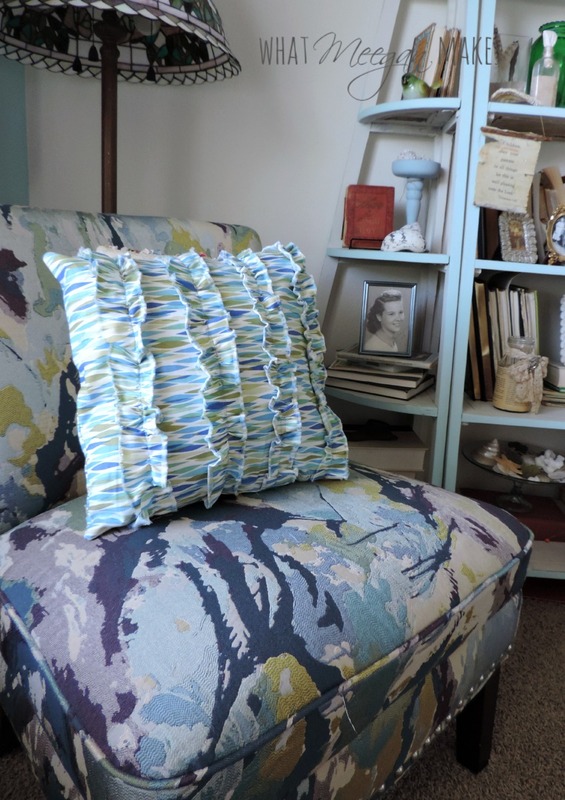 I am really happy with my fabric and my lovely pillow as an accessory. 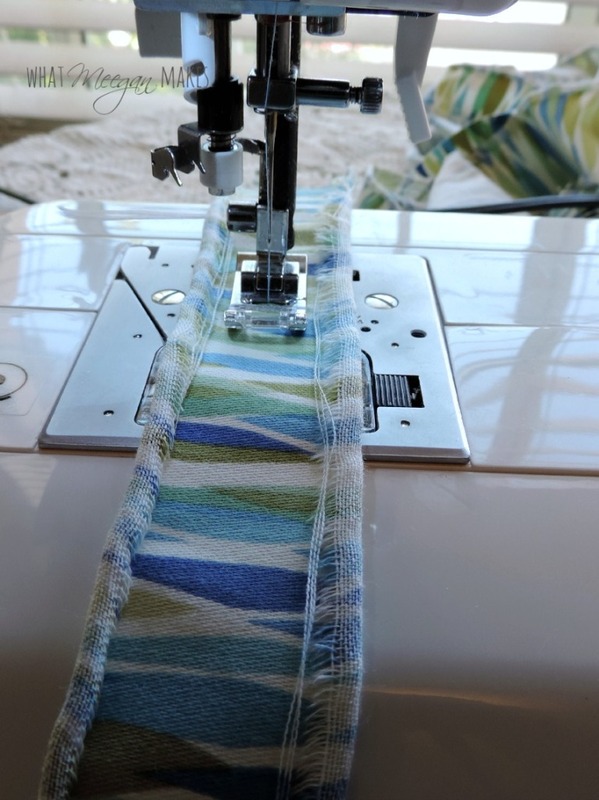 I am glad I chose Waverly Bits and Pieces SeaGlassFabric. It blends well with our home decor. 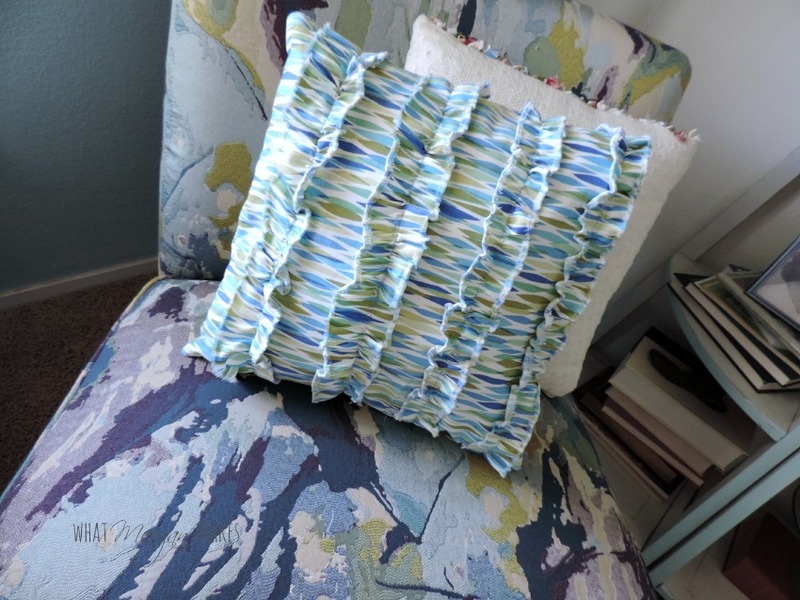 I LOVE my fabric and how my pillow turned out. 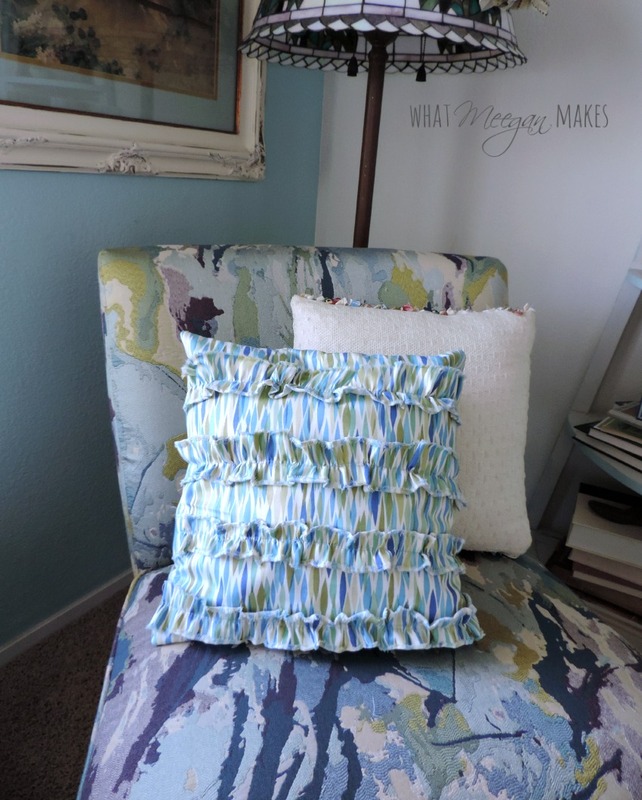 Thanks for stopping by to learn How To Sew A Ruffled Pillow. 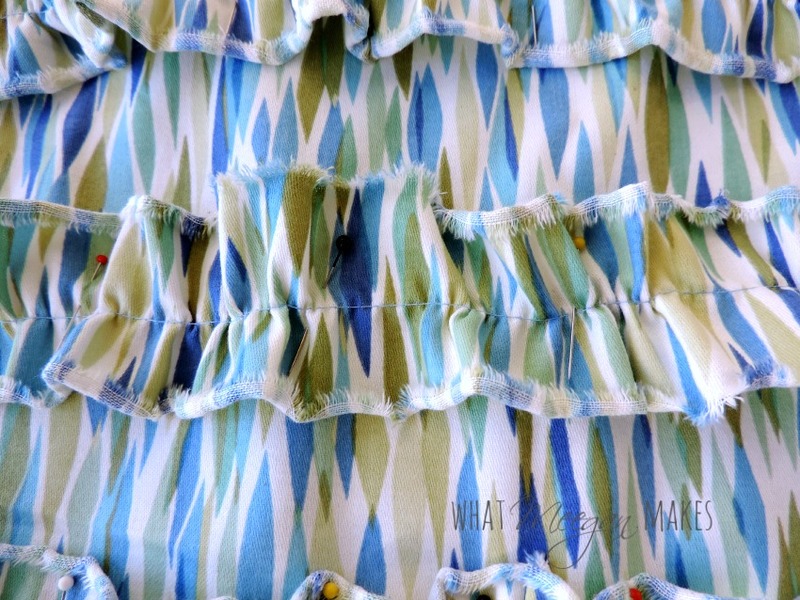 Oh I love the seaglass fabric you picked and those ruffles! Oohlala! What a beautiful pillow you made Meegan! I I so admire your sewing skills, my friend. Wow Meegan, I love the pillow! Now I want to make one (or two) exactly like yours. Not the same color, but yest to the design. It looks easy enough for me to tackle. The pillow is lovely and how easy too. 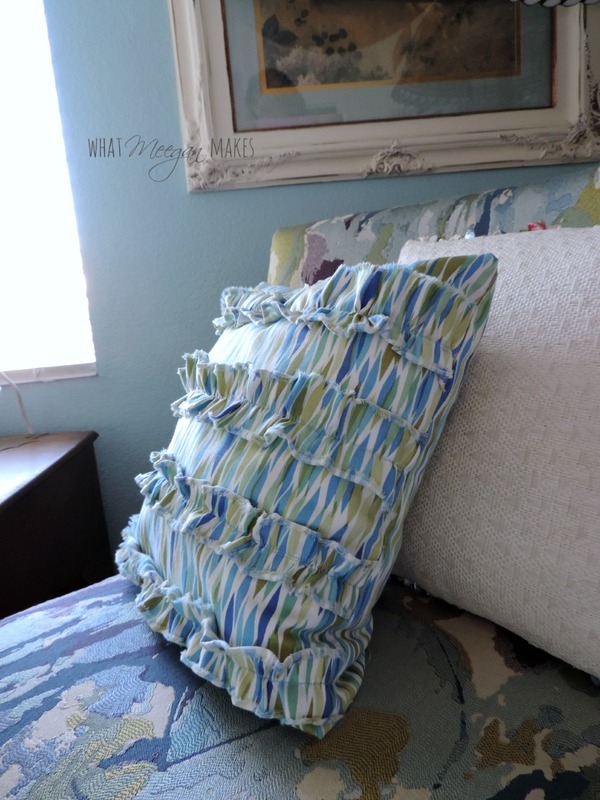 The ruffles give your pillow a pretty feminine touch. I love the fabric you chose! The ruffles are so cute! Great idea! LURVE all those ruffles. So pretty!!!! I like the Calpina Brown Script Decorative Pillow. Thanks for sponsoring the giveaway! !